Ten free points if you got the title pop culture reference. This is actually something I’ve been dying to try for quite a while. A Black Velvet. Guinness and champagne (technically sparkling white wine). 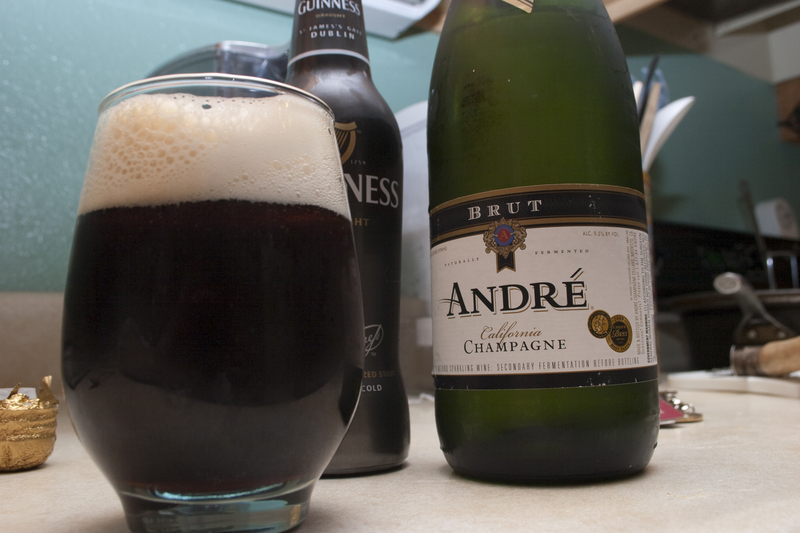 Andre... the beer of champagnes. Float the champagne on top of the Guinness and drink. It’s… odd. Good, certainly. But, odd. The fruitiness of the champagne evens out the bitterness of the Guinness. From what I’ve read, it’s a good Christmas drink. Try it! You’ll be surprised!